From time to time we are pleased to feature vintage furniture pieces from noted mid-century modern designers and craftsmen, discovered either by happy circumstance or at the request of one of our customers. If you're looking for a particular artist or vintage furniture piece, we are quite good at tracking them down! 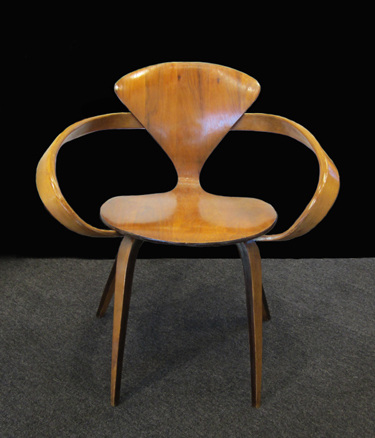 Over the years we have found and displayed Scandinavian, Italian and American mid-century modern furniture pieces, primarily chairs, but also desks, tables, and other art pieces. Contact the Gallery and we'll help find what you're looking for. In the meantime, enjoy our current and recent selections. Dimensions, in inches: 17" to top of seat x 29" tall x 27" at widest x 20" deep. For further information, please contact the Gallery. 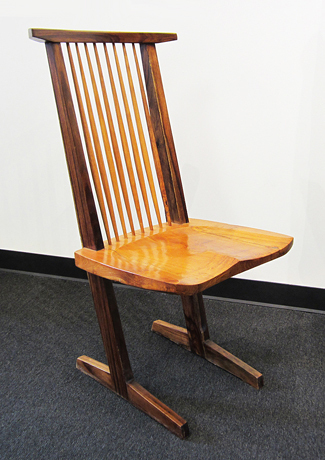 Vintage chair, in the style of Nakashima. A vintage print, numbered, dated and signed by the artist: 12/22, December, 1950. Unframed, with original matting. This piece is done in an unusual and interesting textured style. 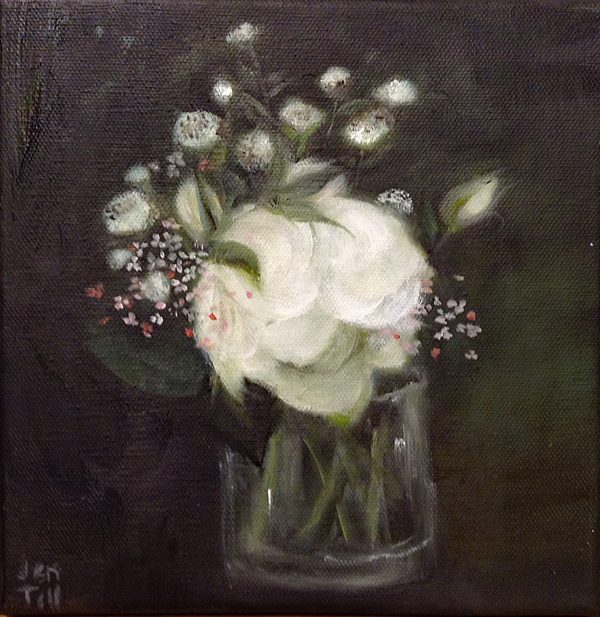 Dimensions: 14" x 11". 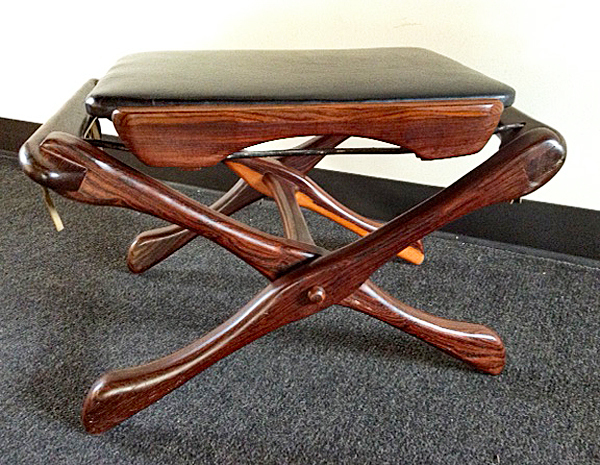 Rosewood and leather ottoman. Dimensions: 22" wide x 17-1/2" deep x 14-1/2" tall. More information coming soon. 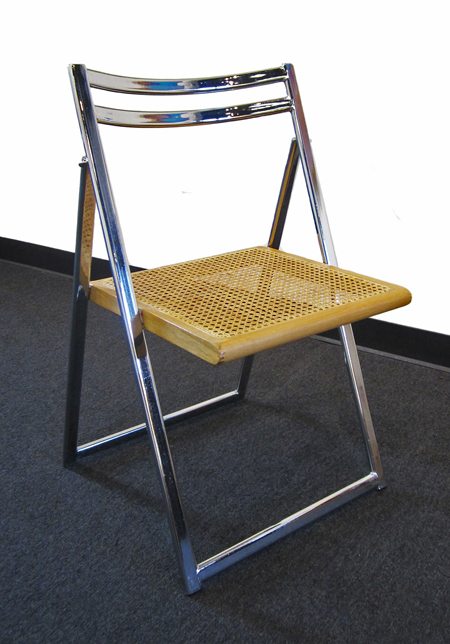 A wonderful Italian folding chair with rattan caned seat and chrome frame. Two are available. Please contact the Gallery for further information. Dimensions available soon. 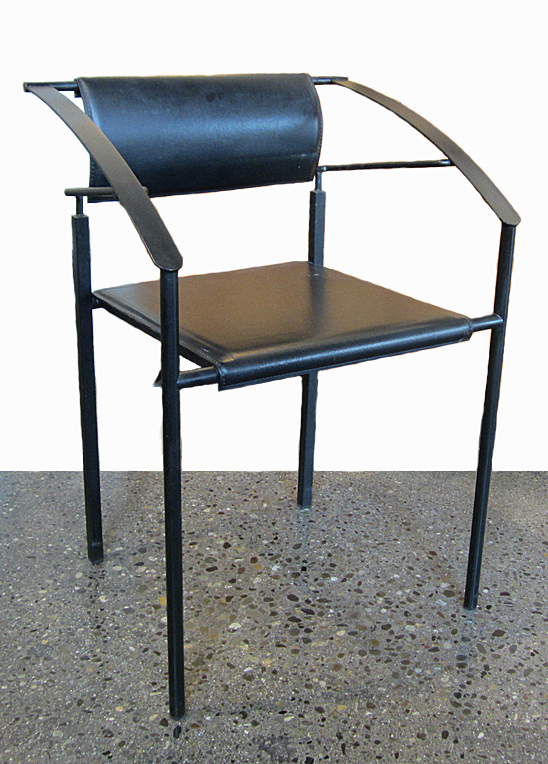 Stackable Italian leather mid-century modern chairs. Set of six. 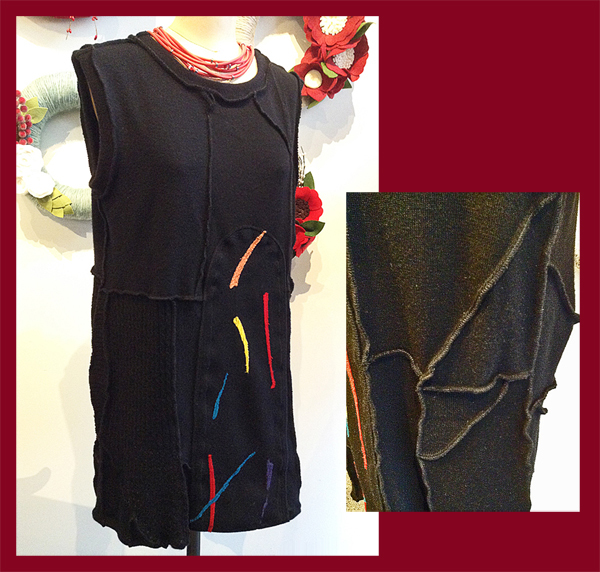 Contact the Gallery for shipping estimate. Created by the renowned textile designer and architect, originally from the Seattle/Bremerton, Washington area, now living at his well-known sculpture park and gardens, LongHouse, in East Hampton, New York. Original black lacquer and Larsen fabric upholstery. Signed. Two available; may be purchased singly. Price is per chair. 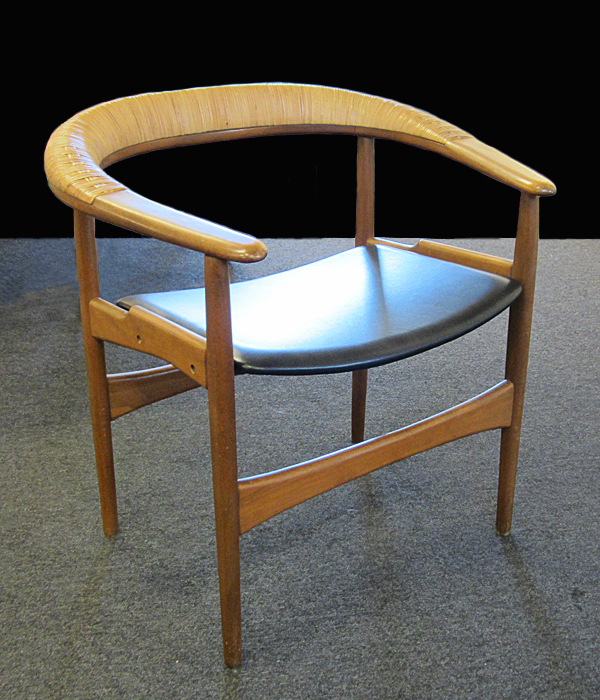 Mid-Century Modern: A beautiful teak, cane and leather chair created by artist Arne Hovmand-Olsen (1919-1989) in Denmark. Excellent condition. Signed by the artist. Dimensions: Seat height, 17'; back height, 28"; seat, 17 d x 22 w; width across arms, 27-1/2". Please contact the Gallery for shipping estimate or further information. What a wonderful table! 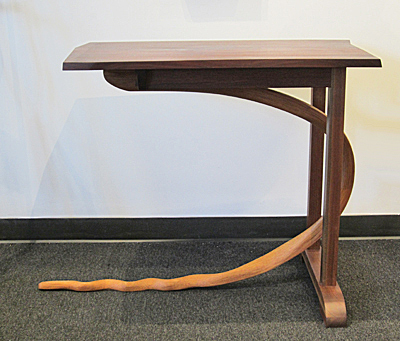 This mid-century modern vintage studio craft table was crafted by Dane Newcomb from Claro walnut and oak. A great accent piece for a hallway. Dimensions: 31" tall x 25" deep x 26" wide.